ISBN - 1-900724-03-0, (stav A), brož. 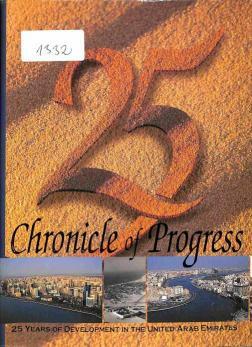 Chronicle of Progress - 25 years of development in the United Arab Emirates. 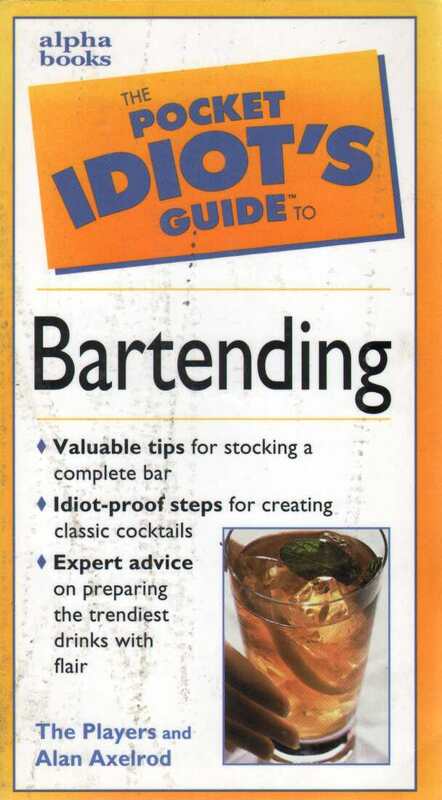 ISBN - 0-8057-7953-1, (stav A), viaz. 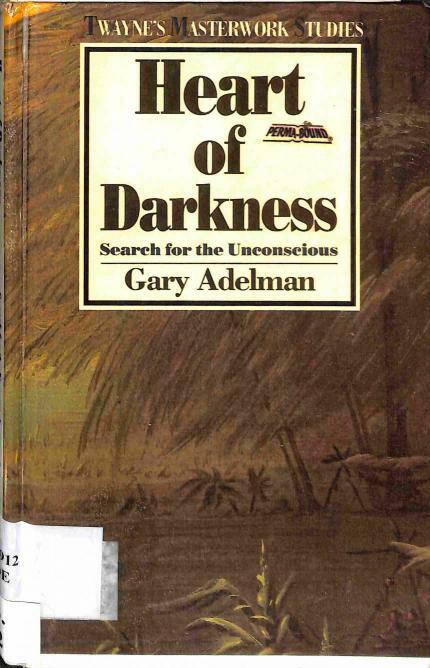 Adelman uncovers political, metaphysical, and prophetic insights in the text, and clarifies the novel s symbols, themes, and unconscious workings of the hero. ISBN - 0-00-225343-7, (stav A), brož. Maria d Este is beautiful, and the seductive power of her charm has attracted men and worldly success in equal measure. 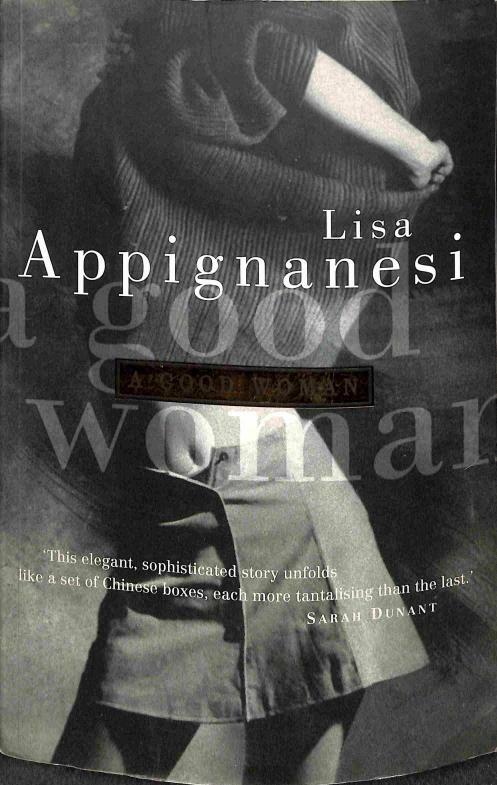 But now it brings her only an acute awareness of its darker side - the power to destroy. ISBN - 978-0-330-44153-7, (stav A), brož. ISBN - 978-0-230-74672-5, (stav A), brož. Visible in the night sky the Argus Station, its twin smelting plants like glowing eyes, looks down on nightmare Earth. From Argus the Committee keep an oppressive control. Soon they will have the power to edit human minds, but not yet - twelve billion human beings need to die before Earth can be stabilized. ISBN - 978-1-84901-305-5, (stav A), brož. There have been full of stories of one or other possible Armageddon, whether by nuclear war, plague, cosmic catastrophe or, more recently, global warming, terrorism, genetic engineering, AIDS and other pandemics. These stories describe the fall of civilization, the destruction of the entire Earth, or the end of the Universe itself. 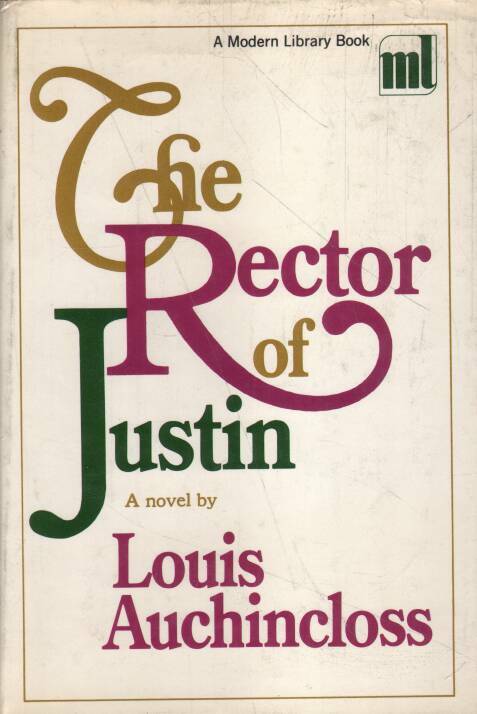 Regarded as one of Louis Auchincloss s most accomplished novels, THE RECTOR OF JUSTIN centers on Frank Prescott, the founder of an exclusive school for boys. 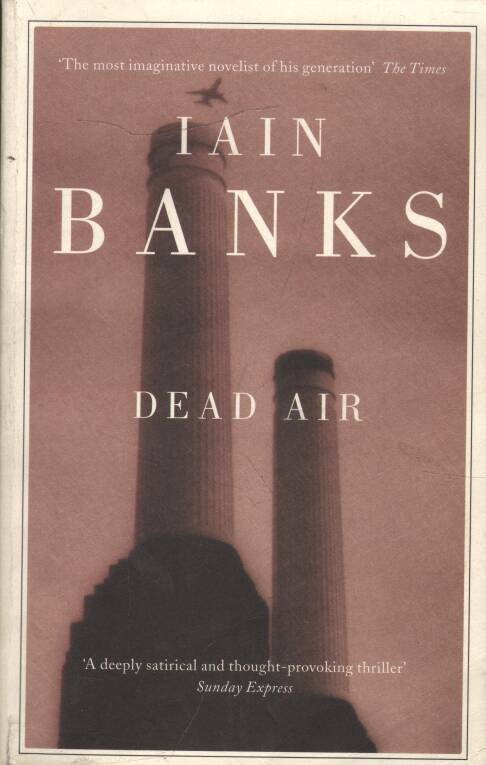 Eighty years of his life unfold through the observations of six narrators, each with a unique perspective on the man, his motivations, and the roots of his triumphs and failings. ISBN - 978-1-84149-408-1, (stav A), brož. 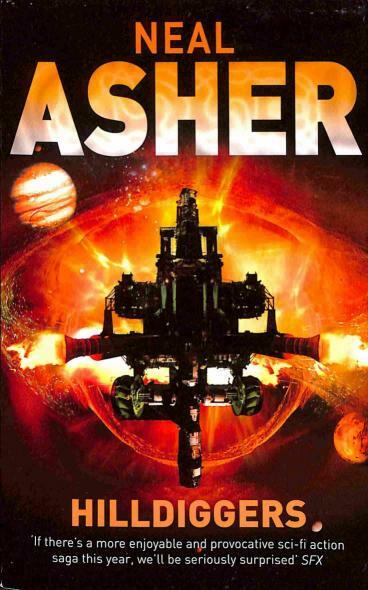 The first book in R. Scott Bakker s Prince of Nothing series creates a world from whole cloth-its language and classes of people, its cities, religions, mysteries, taboos, and rituals. 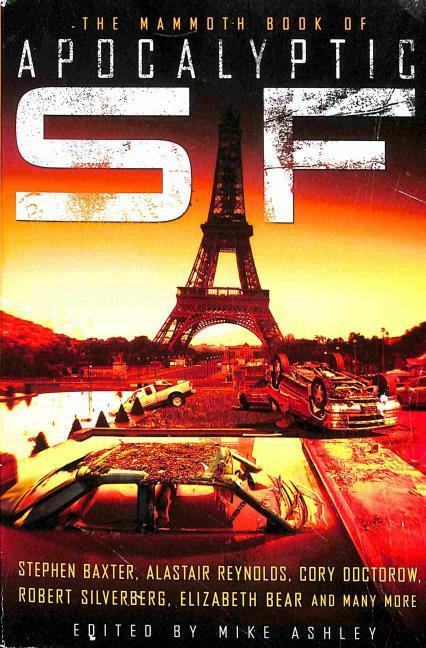 It s a world scarred by an apocalyptic past, evoking a time both two thousand years past and two thousand years into the future, as untold thousands gather for a crusade. Among them, two men and two women are ensnared by a mysterious traveler, Anasû,,,rimbor Kellhus - part warrior, part philosopher, part sorcerous, charismatic presence - from lands long thought dead. The Darkness That Comes Before is a history of this great holy war, and like all histories, the survivors write its conclusion. ISBN - 978-1-84149-538-5, (stav A), brož. 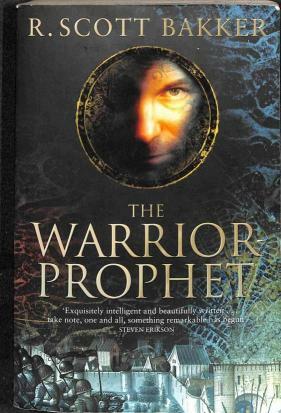 The Darkness That Comes Before, The Warrior Prophet, and The Thousandfold Thought --collectively the Prince of Nothing Saga-were R. Scott Bakker s magnificent debut into the upper echelon of epic fantasy. In those three books, Bakker created a world that was at once a triumph of the fantastic and an historical epic as real as any that came before. 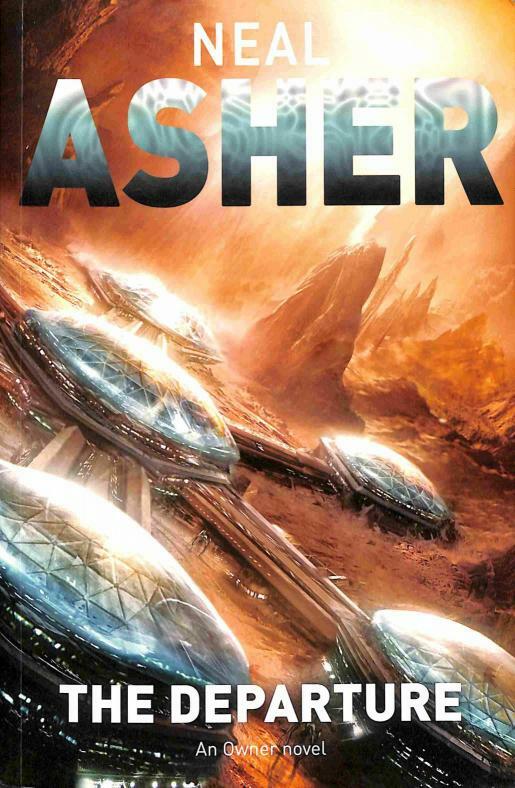 Widely praised by reviewers and a growing body of fans, Bakker has already established the reputation as one of the smartest writers in the fantasy genre-a writer in the line stretching from Homer to Peake to Tolkein. 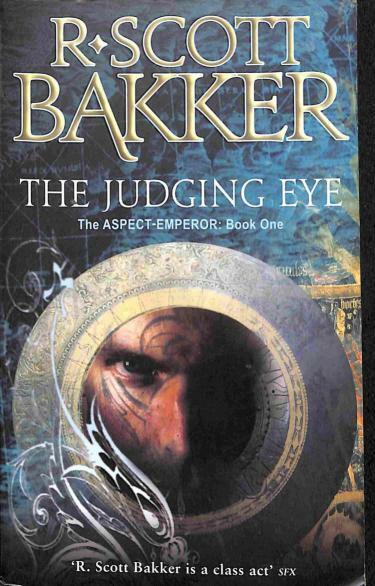 Now he returns to The Prince of Nothing with the long awaited The Judging Eye, the first book in an all-new series. 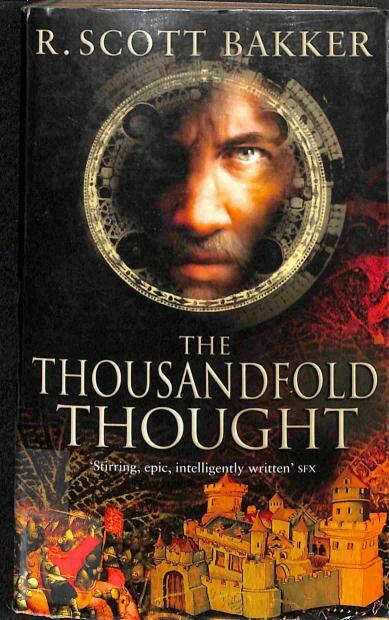 Set twenty years after the end of The Thousandfold Thought, Bakker reintroduces us to a world that is at once familiar but also very different than the one readers thought they knew. Delving even further into his richly imagined universe of myth, violence, and sorcery, and fully remolding the fantasy genre to broaden the scope of intricacy and meaning, R. Scott Bakker has once again written a fantasy novel that defies all expectations and rewards the reader with an experience unlike any to be had in the canon of today s literature. ISBN - 978-1-84149-412-8, (stav A), brož. 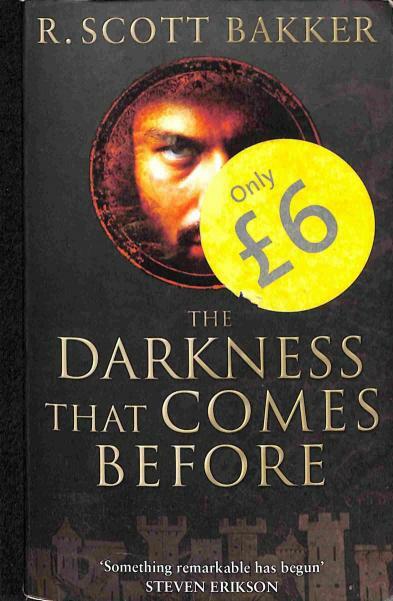 The Darkness That Comes Before, R. Scott Bakker s magnificent debut, drew thunderous acclaim from reviewers and fellow fantasy authors. Readers were invited into a darkly threatening, thrillingly imaginative universe as fully realized as that of any in modern fantasy and introduced to one of the genre s great characters: the powerful warrior-philosopher Anasû,,,rimbor Kelhus, on whom the fate of a violently apocalyptic Holy War rests. 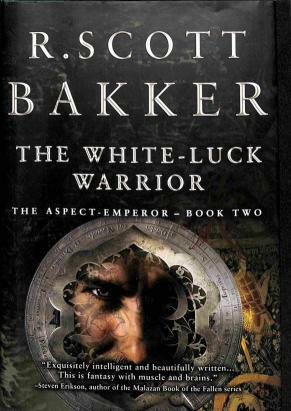 Bakker s follow up to The Darkness That Comes Before, The Warrior Prophet enticed readers further into the richly imagined world of myth, violence, and sorcery. The startling and far-reaching answers to these questions are brought into thrilling focus in The Thousandfold Thought, the conclusion to The Prince of Nothing trilogy. Casting into question all the action that has taken place before, twisting readers intuitions in unforeseen directions, remolding the fantasy genre to broaden the scope of intricacy and meaning, R. Scott Bakker has once again written a fantasy novel that defies all expectations and rewards the reader with an experience unlike any to be had in the canon of fantasy literature. ISBN - 978-0-356-50871-9, (stav A), brož. A score of years after he first walked into the histories of men, Anasû,,rimbor Kellhus rules all the three seas, the first true Aspect-Emperor in a thousand years. 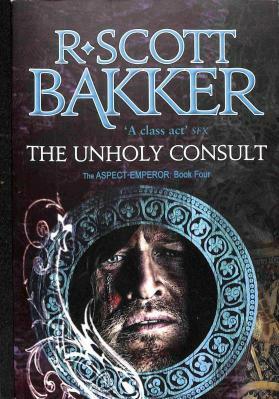 The Unholy Consult is the hugely anticipated final novel in R. Scott Bakker s acclaimed Aspect-Emperor series, set in a vivid world of myth, war and sorcery. 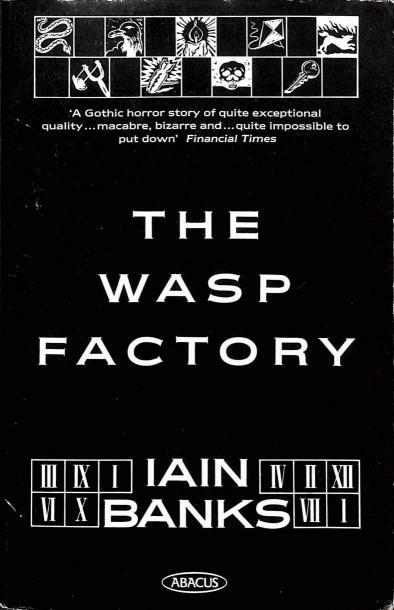 It is a series that stands alongside the finest in the genre, for its grand scope, rich detail and thrilling story. ISBN - 1-84149-409-7, (stav A), brož. "Book Two of The Prince of Nothing" finds the Holy War continuing its inexorable march southward. But the suspicion begins to dawn that the real threat comes not from the infidel but from within...Steering souls through the subtleties of word and expression, Kellhus strives to extend his dominion over the Men of the Tusk. The sorcerer Achamian and his lover, Esmenet, submit entirely, only to have their faith - and their love - tested in unimaginable ways. Meanwhile, the warrior Cnaiur falls ever deeper into madness. Convinced that Kellhus will betray their pact to murder his father, Cnaiur turns to the agents of the Second Apocalypse and strikes an infernal bargain. The Holy War stands on a knife edge. If all is not to be lost, the great powers of the world will have to choose between their most desperate desires and the end of the world. Between hatred and hope. Between Anasurimbor Kellhus and the second apocalypse. 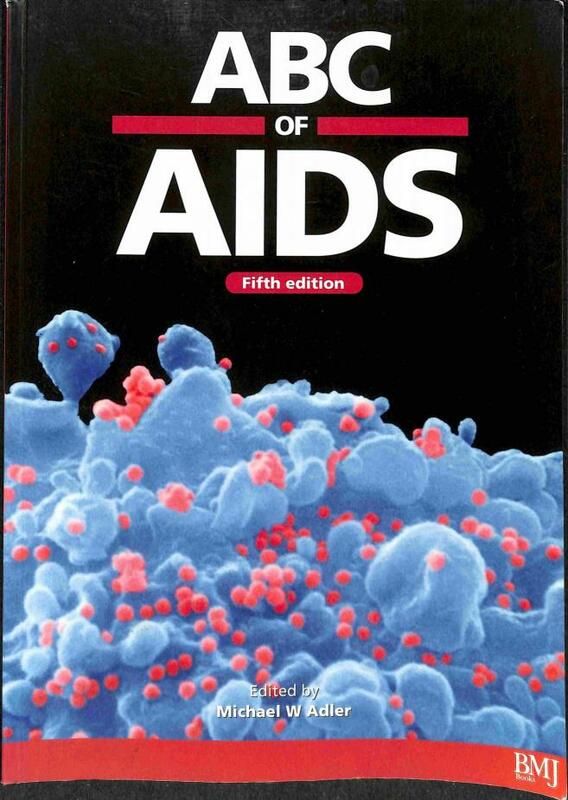 ISBN - 978-1-59020-464-1, (stav A), viaz. A score of years after he first walked into the histories of men, Anasû,,,,rimbor Kellhus rules all the three seas, the first true Aspect-Emperor in a thousand years. ISBN - 0 349 11664 4, (stav A), brož. 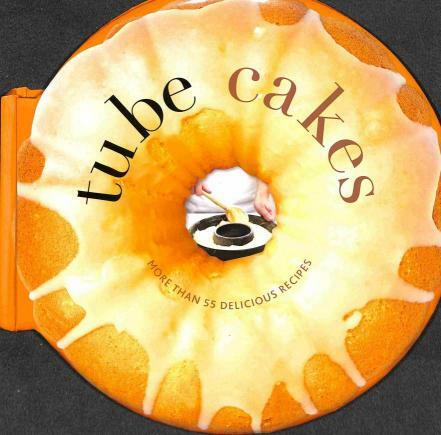 In this new edition, the original topics have been brought up to date, added to and elaborated upon: Abbreviations, for example, now includes an essential array of chat room acronyms, Fashion boasts a complete list of British Hairdressers of the Year, and Music features a comprehensive listing of every Top Ten single of the last 40 years. ISBN - 0-349-10177-9, (stav A), brož. Two years after I killed Blyth I murdered my young brother Paul, for quite different and more fundamental reasons than I d disposed of Blyth, and then a year after that I did for my young cousin Esmerelda, more or less on a whim. That s my score to date. Three. I haven t killed anybody for years, and don t intend to ever again. ISBN - 0-340-037772-0, (stav A), brož. 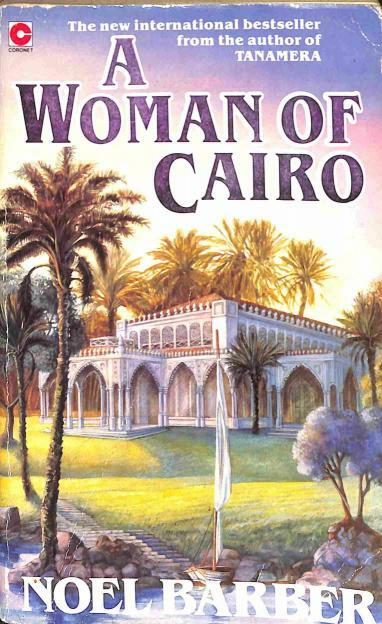 Son and daughter of diplomats in Cairo, the gentle Serena Pasha and Mark Holt are privileged and attractive, growing up in a magical world of champagne breakfasts and midnight picnics at the pyramids. Their lives entwined since childhood, they grow ever closer as adults. Yet Serena s hand has been promised not to Mark, but to his brother, Greg. As World War II speeds closer to Cairo, a shocking accident gives these young lovers a second chance—but with this chance comes terrible danger. Egypt is threatened not only by the German army but by nationalist forces within Cairo determined to end the British occupation at any cost. The country torn apart, and enemies everywhere, Mark and Serena s love is tested to the limit. 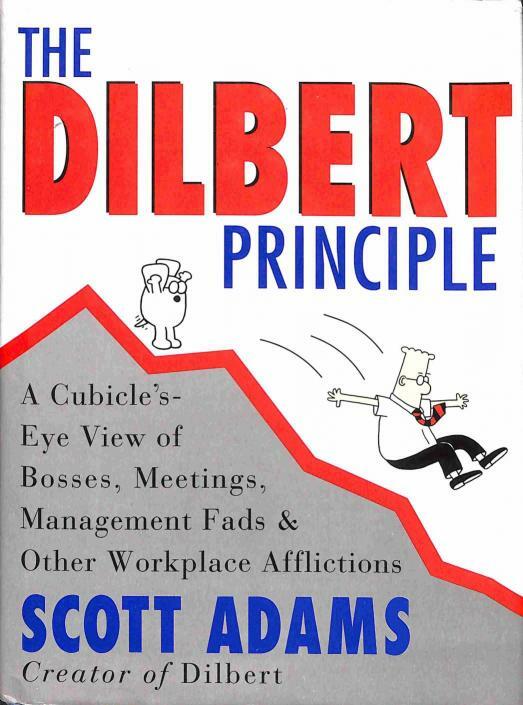 ISBN - 978-88-6098-317-6, (stav A), viaz.